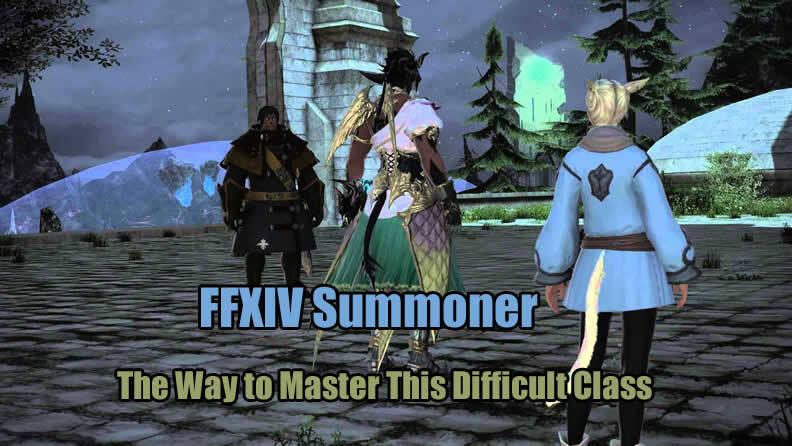 Final Fantasy XIV Summoner(SMN) may one of the most difficult class to be excellent for most players. Summoners are mystical mages who have harnessed the lost art of invoking primals. Via this ancient knowledge, summoners can bend primals to their will and use them to sic and destroy their enemies. Just about every single choice will influence your Final Fantasy XIV DPS. My aim is to in the end make this a thread for everything SMN but additionally maximizing it is perspective. Most Final fantasy xiv gil collectors look at SMN to merely be a class that focuses around DoTs and provided that you might have them up, you might be performing your finest DPS. This really is in fact not extremely accurate at all. Yes when the application of DoTs could be the core of our damage, it really is not the complete picture. Maximizing your opener, expanded usage of auto-attacks, sophisticated Aetherflow stack management, maximizing time in Dreadwyrm Trance also as GCD usage with Demi-Bahamut and stat make, all make up what exactly is necessary for an SMN to reach its full possible. Often instances you might see builds which have incredibly higher CRIT but the pittance in DET and vice versa. With the addition of your Direct Hit attribute in 4.25 and many changes, you might desire to be balancing these three stats among one another. Crucial Rate -> Direct Hit -> Determination -> Spellspeed - Priority for stats in 4.25. That is possible, in my opinion, one of several most significant damage modifiers for an SMN's DPS. Numerous celebration setups adapt 1 certain mainstream tactic and anticipate absolutely everyone to maximize with that method. That may be the wrong strategy to handle DPS if you have an SMN in the party. When you have an SMN within the celebration, construct your DPS method about them, to boost everyone's individual DPS, thus raid DPS, too as your SMNs. T10 add phase: Most raiding groups use the mainstream approach of burning 1 particular side of adds to no cost up to a single tank then focusing on the other set. Through the very first add phase, this is a huge no-no. This will likely hurt an SMN as one particular side getting focused down by everyone will die considerably more rapidly therefore not permitting the full duration of an SMN's DoTs. This also hurts everyone as well, primarily your melee, resulting from added travel time. The proper technique to handle DPS in this situation so absolutely everyone advantages, would be to split up your DPS. Dividing your DPS going into the phase will guarantee your SMN is finding maximum uptime on all of the mobs present. This may also benefit classes like MNK or NIN that climb in DPS the far more they're allowed to sit and focus on a mob akin to a striking dummy devoid of adding in travel time. The second add phase, you may do as regular to make sure a tank is freed up within a timely style. You can find another unorthodox strategy's that involve killing one side daughter and one more side son but I obtain this really is much more often a Raid DPS loss. Although a benefit to an SMNs number, this is not a thing you should care for. You need to raise your very own numbers alongside everyone else.